One hot, sunny day in New York we stumbled across this gem of a fast food restaurant in Madison Square Park. We waited in line and bought two delicious hot dogs and two chocolate milkshakes (one malted!). After declaring that we had found the tastiest hot dogs of all time, we vowed to return the next day to sample more of their menu. The next day, however, was not meant to be a Shake Shack day. We arrived at a prompt time of 1pm to Shake Shack in Madison Square Park to be greeted with a line that was wielding itself around the paths of the park. A helpful Shake Shack worker declared that we would be waiting for at least 45mins. So we departed, vowing to return another day to sample more of their menu. We eventually ate at Shake Shack a total of 4 times. (MrJ had promised that we would never eat at the same place twice in order to enrich our New York eating experience, yet his stomach and mind soon became greatly attached to this delicious fast food chain). Madison Square Park Shake Shack is located at Madison Ave, East 23rd Street, and I think this is the prettiest Shake Shack location we dined at, as on evenings they have big bulbed fairy lights overhanging the outdoor picnic seating area. 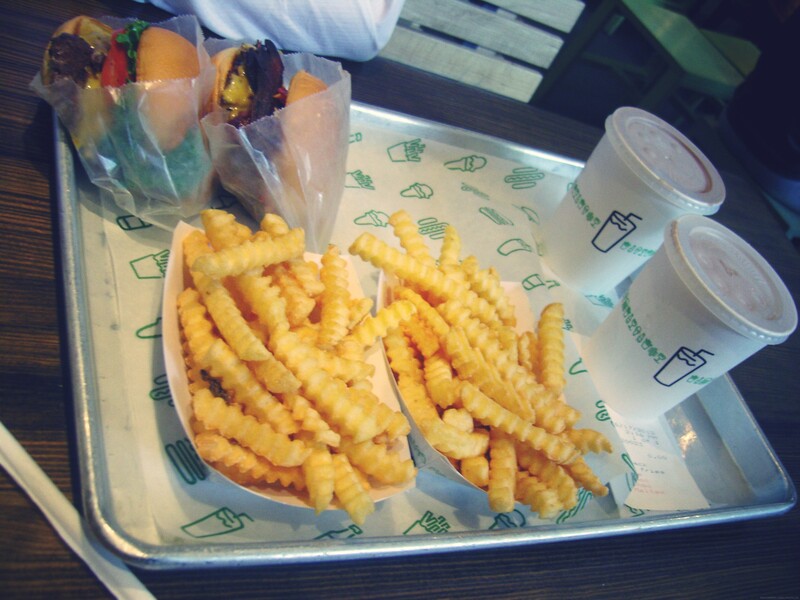 We also ate at Upper East Side Shake Shack, located on 154 East 86th Street. Who doesn’t love crinkly-cut chips? They were delicious! We didn’t get to sample all of their menu; we really missed out on their smores frozen custard! 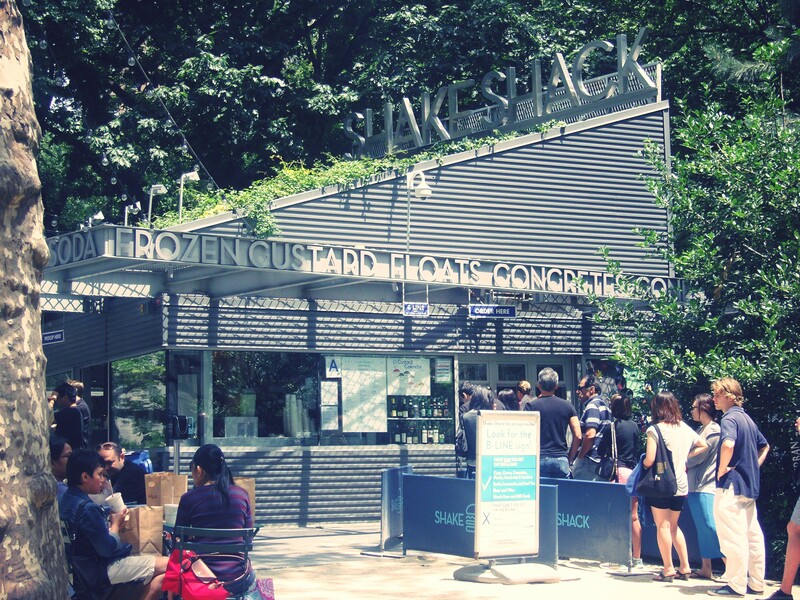 We definitely have some days where we just crave Shake Shack (especially their delicious milkshakes. We haven’t tasted better ones anywhere else!) 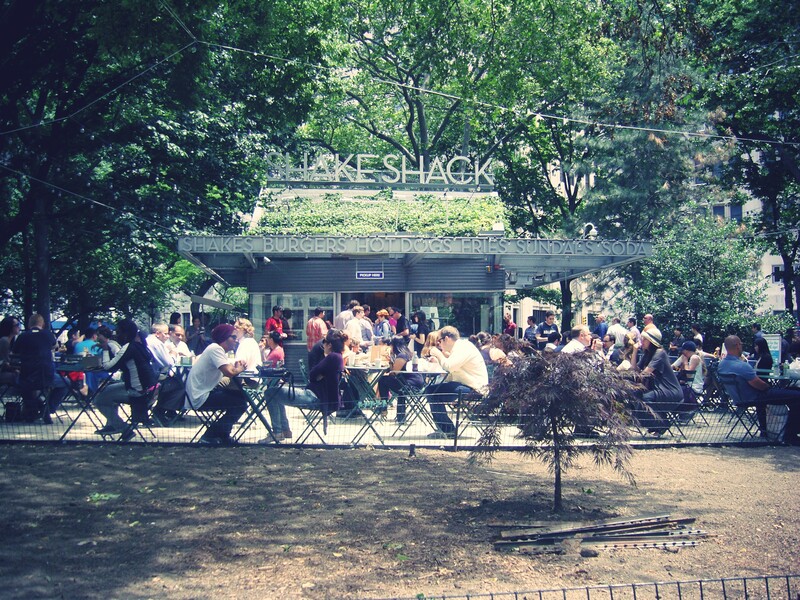 When we return to New York, we will be returning to Shake Shack.